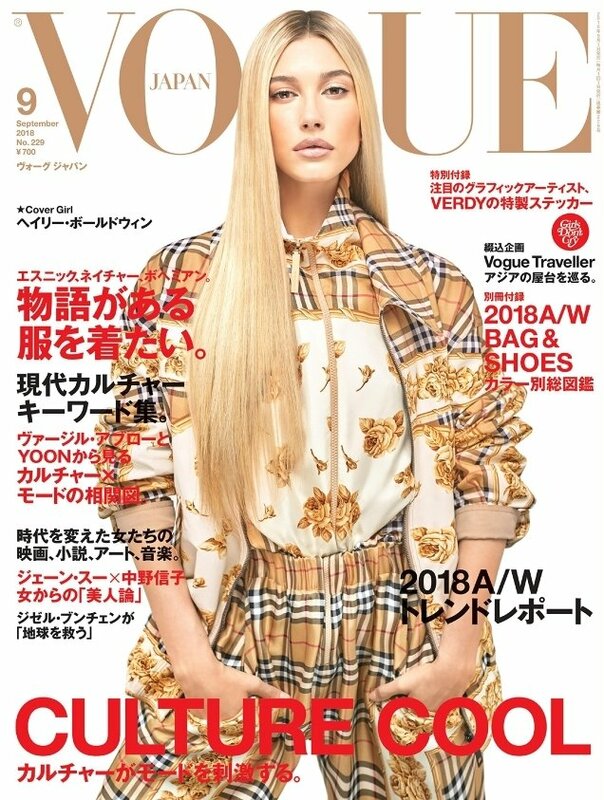 Hailey Baldwin might not be our first choice for a September cover, but here she is on the newest issue of Vogue Japan. Following in the footsteps of her BBFs Bella, Gigi and Kendall, the American beauty was photographed by Luca & Alessandro Morelli and styled by Anna Dello Russo in head-to-toe Burberry (if we need even mention), sporting a mane of blonde hair. The cover was sure to generate buzz in our forums. “Atrocious styling and she looks nothing like herself here. What’s the point in her? She can’t model,” wrote Valentine27. “It’s like a Kim K and Donatella [Versace] mix-up. Terrible. And do they really need that amount of text on the cover?” asked EstefaniaAbaddon. “Mediocre model photographed by mediocre photographers,” snarled fluxxx. Mikel wasn’t here for it, either. “My God, she is such a bad model. She gives nothing! Waste of everything,” he commented. “Beige overkill, with a touch of Kim Kardashian/generic Insta-influencer chic. I’m surprised they went for such trendy styling because they normally keep it simple for the cover,” Benn98 noted. “This must be the lowest Vogue Japan has stooped,” slammed Phuel. “The hair, the lips and those Burberry pants Beyoncé wore already are just pointless pandering to the Insta crowd. Hailey really doesn’t deserve to be on any cover since she does less than any other to further her own career, at least Gigi and Kaia commit to fashion,” YohjiAddict voiced. Ouch. Check out Hailey’s cover story and share your thoughts here.